UNFINISHED BUSINESS: The controversial plant and (inset) protesters have their say. 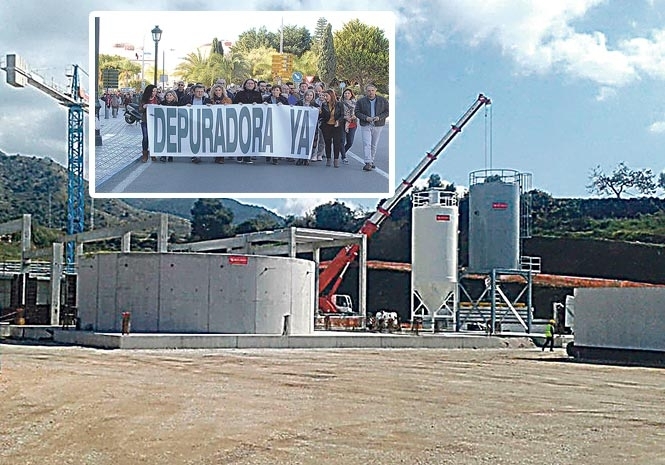 MORE than 700 people have protested over Nerja’s unfinished sewage plant. The demonstration took place in the town’s main streets after patience over the stalled works grew thin. The protest, organised by Nerja’s tripartite council, saw locals walk from the town hall to the plant’s site in the Fuente del Baden area. Politicians from parties PSOE, Izquierda Unida and Ciudadanos took part in the rally alongside members of local business groups. Works to Nerja’s sewage treatment plant remain stalled at 95 per cent complete after the works’ contractors, Isolux-Corsan-Corviam, went bankrupt last April. 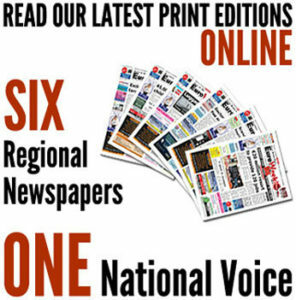 Since then both the Junta de Andalucia and Spain’s central government have stepped in to try to find a solution, holding meetings with Nerja’s councillors as well as pressure groups and local businessmen.